As the specialist in extruder screen industry, Boegger is always engaged in manufacturing and supplying a distinguished range of extruder screens, which are made of the best grade anti-corrosive raw materials - galvanized wire stainless steel wire, and nickel alloy wire. Besides, we always apply the innovative technology in production process. So the extruder screens offered by us can hold up to extreme environments and uses. Extruder screen is an important part in the melt filtration and extrusion process. It can efficiently keep out the foreign particles in mixing in finally plastic and rubber extrusion process and provide a clean and clear extrusion. Because we use the high quality non-toxic raw materials, our extruder also can be used in the food and beverage industry. 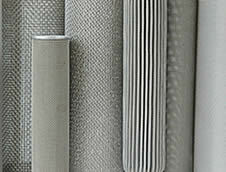 Material: stainless steel wire mesh, galvanized wire mesh, nickel alloy, brass wire mesh. Layer: single layer or multilayer. Shape: circle, disc, square, oval, rectangular, kidney, cones and other special shapes. 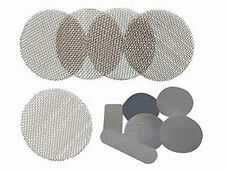 Extruder screen packs with spot welded and with or without aluminum frame. All the various kinds of extruder screen discs, extruder screen belts and extruder screen packs are made of high quality raw materials. So ensure each customer can receive the good quality products. With over 10 years experience in wire mesh production and export to over 20 countries and regions, including America, Europe, India and Russia, Boegger is a real professional extruder screen manufacturer. All the extruder screen products are produced by the automatic machines, which can ensure the accuracy. Besides, the professional workers can cut production loss, shorten production time, and improve production efficiency. The quality is the key to keep the factory to develop persistently. 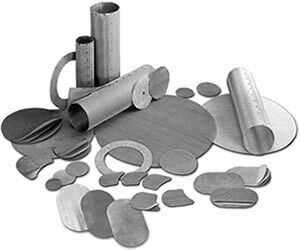 All our extruder screens products adopt the international advanced production technology and quality raw materials. Each pieces of extruder screen has the Inspection Certificate. Our professional service team can provide the suitable programs according to customers' requirement. Thus customers can choose the best and most appropriate extruder screens from our factory. Delivering on time is of great significance for every customer. We will make the exact production schedules. Ensure the high efficiency production, at the same time ensure the quality of extruder screen. We have the special service team. They can communicate with you in English or other languages fluently. So do not worry if you have difficulties. We can help you! Extruder screen with reliable extrusion and filtration capacity for extrusion in plastic, rubber, metallurgy industries, and filtering gas and liquid. Stainless steel extruder screen with dutch weave, is used for melt filtration and extrusion process in plastic, rubber, PVC film, and food industry. Extruder screen pack is durable and rigid, useful in fine extrusion process for prevention impurities, also useful for water treatment plant. Cylindrical extruder screen is widely applied in extrusion or filtration process in petrochemical, pharmaceutical rubber and plastic industries. 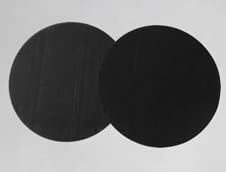 I order their 3” round air filter discs with metal material to be used in an outdoor application. Using the mesh discs makes air to flow as freely as possible while providing filtration. The discs fits perfectly our air filter. Best price too! We are one of the leading manufacturers of water taps. 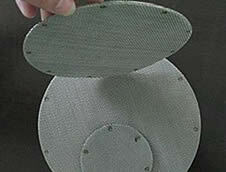 We ordered SS Stainless steel mesh screen in 10mm dia (round). This is the purpose of filtering the water. While, functioning mud, sand, etc. Meanwhile ensuring free flow of the water. I was so pleased with this purchase. I'm a process engineer for a extrusion department, we manufacture medical tubing using FPVC. Using an incorrect quantity and type of extruder screen mesh, our extruder was presenting high pressures. Their sales experts recomend me the right mesh, which keep the RPM consistently and keep the pressure down. I found that it did the best job in my opinion. Copyright © Boegger Industrial Limited Add: East industrial Zone, Anping, Hebei, China.